After two years of talking about the idea, my husband and I finally went snowshoeing at the Mt. Shasta Nordic Center. I wish we’d gone on the adventure sooner because we had a blast tromping around in the snow on a sunny and brisk January day. When we parked at the center, the lot was full of cars, and I thought the trail would be packed with people. However, other than seeing a group of cross-country skiers at a trail crossing, we had the snowshoe path to ourselves. We frequently stopped for snacks and photo opportunities because the view of Mt. 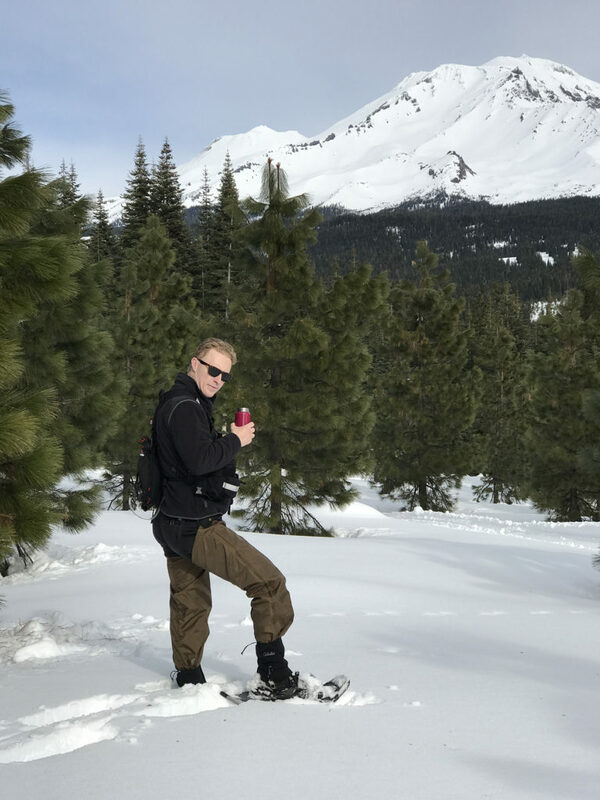 Shasta from the snowshoe trail was spectacular! One of my favorite parts of the day was eating a picnic lunch at the center. While we ate lunch and sipped hot drinks outside, we watched a snowball fight unfold in the parking lot and fellow patrons get ready to hit the trail. After lunch, we headed out for another snowshoe meander and quit in the early afternoon because it was starting to cool off. Plus, snowshoeing was unexpectedly exhausting in the best possible way. We returned our snowshoes, changed into comfortable clothes, and ended the day with a burger and beer in Mt. Shasta; perfect comfort food on a chilly winter day! Pair your snowshoeing adventure with a stay in Mt. Shasta or McCloud; both communities are close to the Mt. Shasta Nordic Center and offer a variety of lodging options. Consider staying at the Shasta Mount Inn Retreat & Spa or the McCloud River Inn Bed & Breakfast. Explore more lodging options here. Before you leave your hotel, check the road conditions. 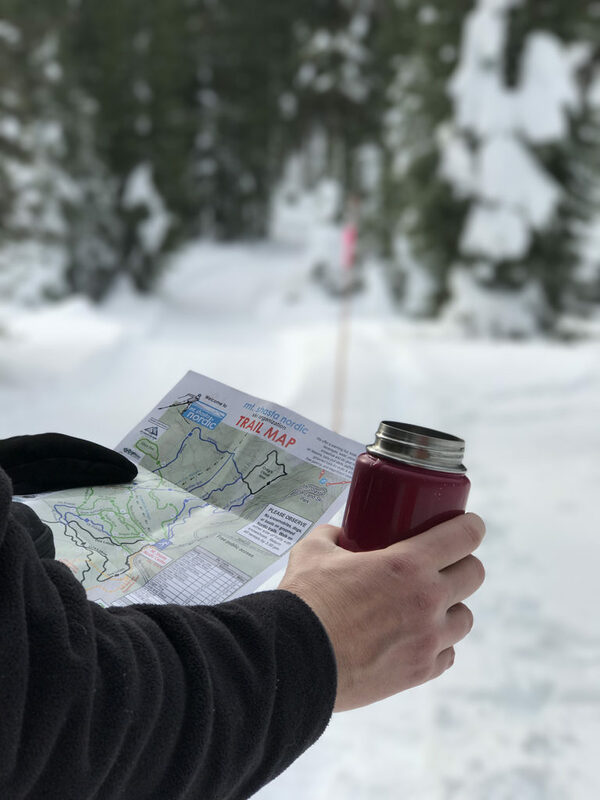 If you need assistance getting to the center, download maps to your smartphone while you have access to the Internet (read this post for trip planning tips). Before you drive to the Mt. 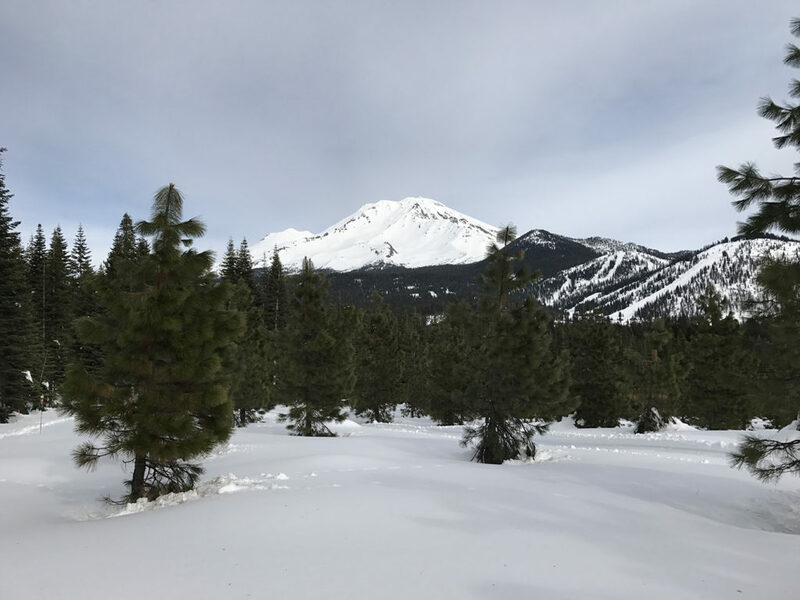 Shasta Nordic Center, visit their website and check out the grooming reports, trail maps, their event calendar, and rental options. We don’t own snowshoes, so we rented them from the center. The process of renting was easy, and the snowshoes were in excellent condition. As an aside, I didn’t think the ski poles were necessary, but they helped me stay balanced while I walked on the snowshoe path, so don’t forget to grab a set of poles! Wear waterproof outer layers for your adventure at the Mt. Shasta Nordic Center. Also, bring extra socks, shoes, and comfortable clothes to change into after you are done playing in the snow. If you need to purchase cold weather gear, The Fifth Season in downtown Mt. Shasta is a great local outfitter to visit. If the weather is favorable, you can sit outside at the Nordic Center and have a picnic. Stock up on supplies at the Berryvale Grocery & Cafe in Mt. Shasta. 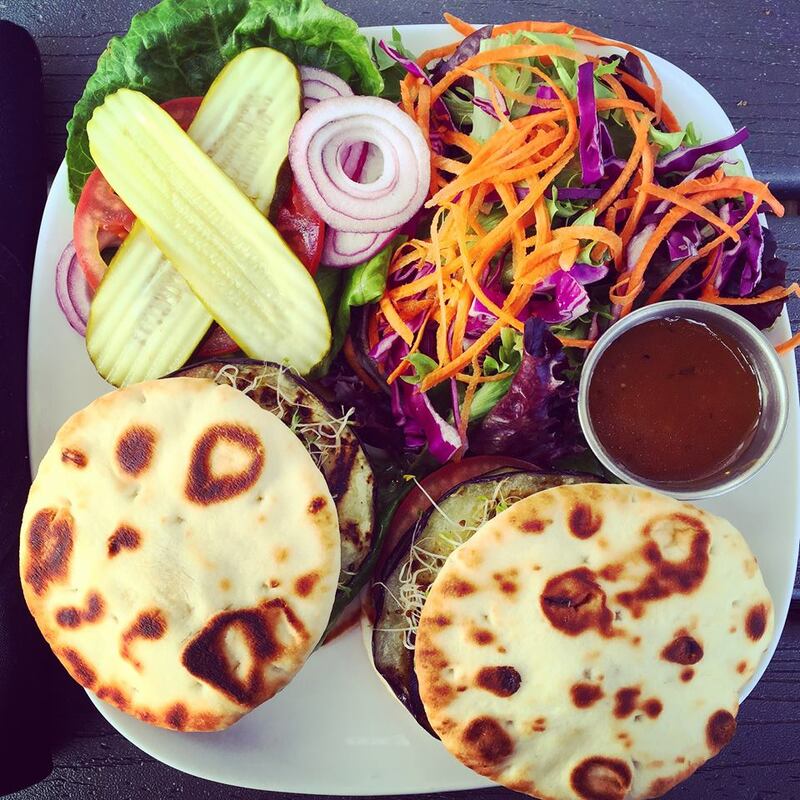 After you’ve finished playing in the snow, grab a beer and burger at Bistro 107 in Mt. Shasta or at the Mt. Shasta Brewing Co. in the City of Weed. If you’re in the mood for fine wine and comfort food, check out the Sage Restaurant in McCloud. Explore more comfort food options here.